It’s sometimes quite blissful not having a special talent or skill; there’s no pressure to perform and you can be allowed to coast along in life doing the same routine to your heart’s content without fear of failure or complication. 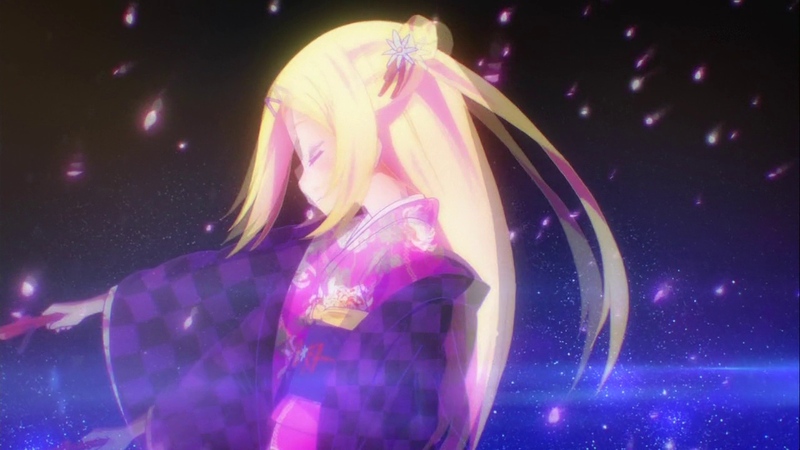 On the other hand, the human spirit doesn’t let one get by so easily and flickers of aspiration flash across our minds every now and again and that is what Hanayamata explores in depth and with a striking colour palette. 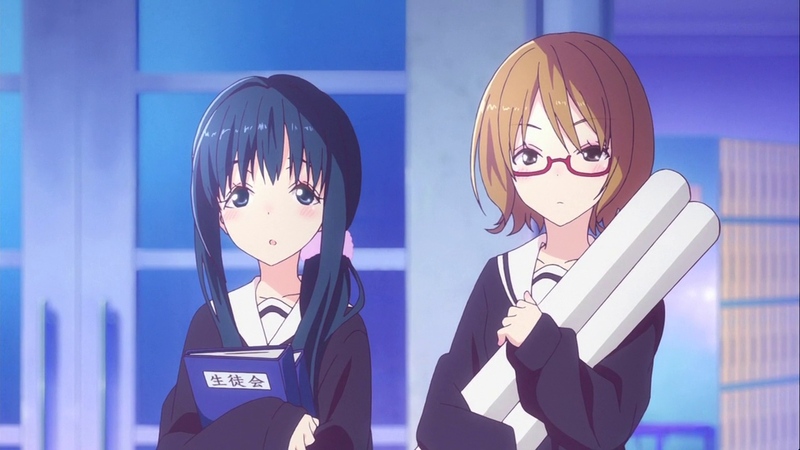 Naru is a very timid girl who has very little focus on what she wants to do with her life. She’s somewhat of a recluse save for her seemingly only real friend Yaya, who is part of the music club. 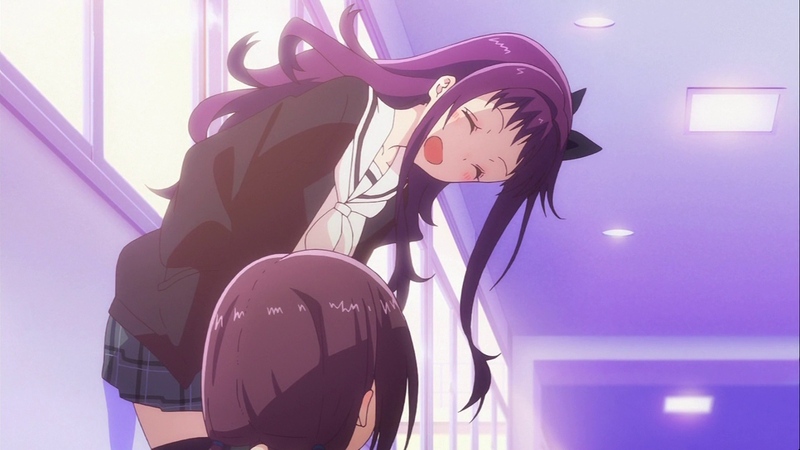 Naru often goes to watch Yaya and her bandmates practice and it’s here where things get triggered which lead to the events that happen in this anime. Our shy heroine begins to yearn for some kind of creative talent or outlet for her ever-growing frustration towards her humdrum existence or to simply live with the fairies care-free. One night though, her prayers are answered in the form of a short and loud American girl named Hana [I think they mean Hanna but I’ll roll with their spelling]. She is practising yosakoi, a traditional Japanese dance style, which is usually performed en masse. As Naru watches on, the allusion to fairies and Hana’s blonde hair and unusual appearance acts as yet another turning point. The pair are mesmerised with one another and they quickly become good friends at the expense of Yaya; who becomes insanely jealous. Over time, Naru begins to develop self-confidence and a genuine desire to dance her sadness away with her growing circle of friends. 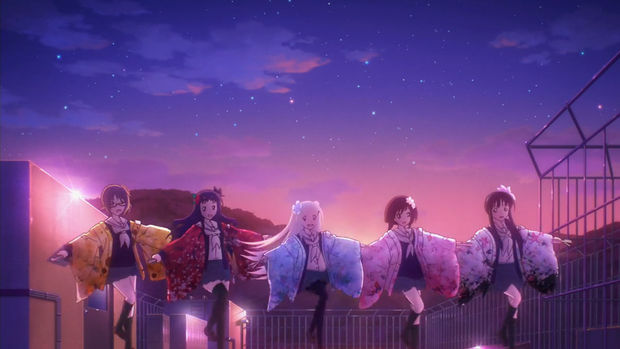 There are twists and turns along the way, as is the way with every slice-of-life show, but it’s a ride which is very charming, probing and downright gorgeous! 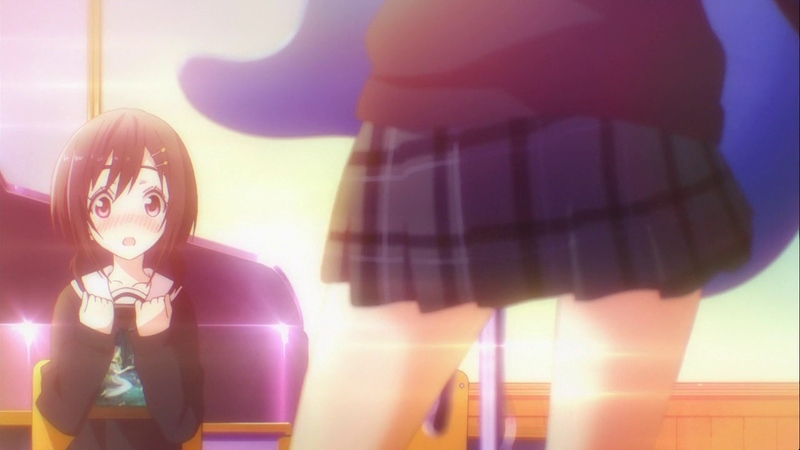 Hanayamata is one of the prettiest shows I’ve seen this season and it’s not hard to figure out why this is the case. First off, MADHOUSE animated this and they are renowned for pushing the boat out when it comes to stylisation. The characters all look distinctive and refined [I really adore the characters’ eyes, they’re so unique when placed against the norm!] in a world which is also treated to a lovely coat of paint and lens flares. The designers went to the J.J.Abrams school of bloom and the use of lights and flares to punctuate the visual style are all over the place here, but they are used tastefully and to good effect which means they don’t get in the way…mostly. It all leads to an enticing production which is a treat for the eyes. The quality and detailing carries over to the music and acting; nothing is over the top or exaggerated without good reason. All of the assets which go into making an anime work together to conjure up something which is fantastic to watch! Does the narrative do this too? Well, essentially, yes! When it comes to the story the premise isn’t overly original, but it is packaged more freshly. Naru’s desire to figure in the world has been seen before but it’s a story which can never get old or should be discouraged from expressing. There are too many people in the world like her who want to do something but get scared off because of the worry of failure. It sometimes takes the likes of Hana and Yaya to push one over the edge and just do stuff – you never know until you try! Hakuna Matata; you get the idea! It’s a commendable plot which is carried out by younger characters than usual. The quintet are all either fourteen or fifteen instead of seventeen or eighteen; this age difference means that attitudes and maturity will differ measuredly from what you’d expect. It’s evident when Yaya gets incredibly jealous and petulant over Hana’s introduction or Machi’s sweeping generalisations and strictness but the friendship and solidarity is still there in earnest; these girls will be friends for life no matter what happens. It’s all so sweet and heartening in a medium which needs more of such shows. 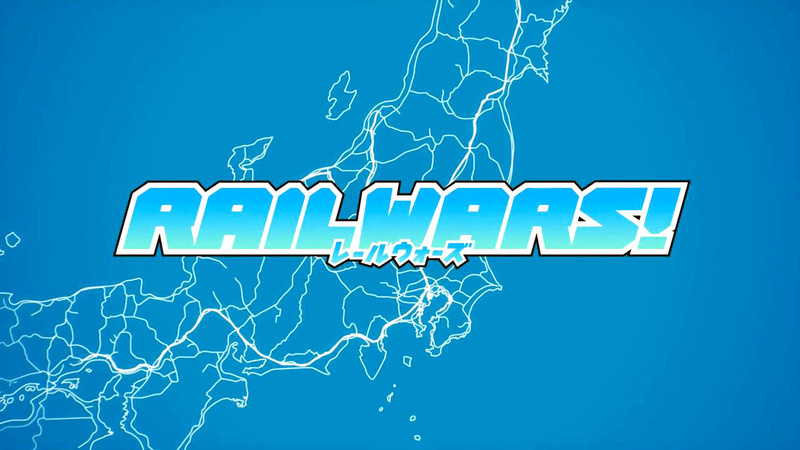 I think what I like most about this show is that it is so very Japanese. It has a strong cultural resonance and desire to explore an lesser known dance medium. I didn’t know what yosakoi dancing was until I saw this show and I felt like I learnt something and in a way which wasn’t overbearing or artificial. It felt natural as we were learning it at the same pace that Naru and Hana were; we are along for the ride as if we were one of their friends wishing to learn the art of yosakoi. It’s all so involving and passionate. 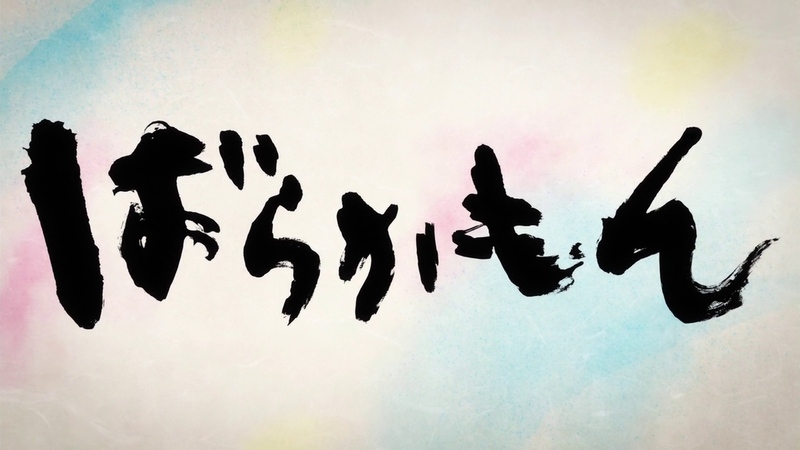 It’s not like most shows these days which could easily be set in a country other than Japan; it harks back to a staple of the country’s history and it’s something so emotional and majestic. Watching one person dance is nice enough, but to see five, ten or even hundred people dance in unison with flashy costumes and overflowing spirit is a whole different animal. What I’m saying is that this show gets so much stuff right! 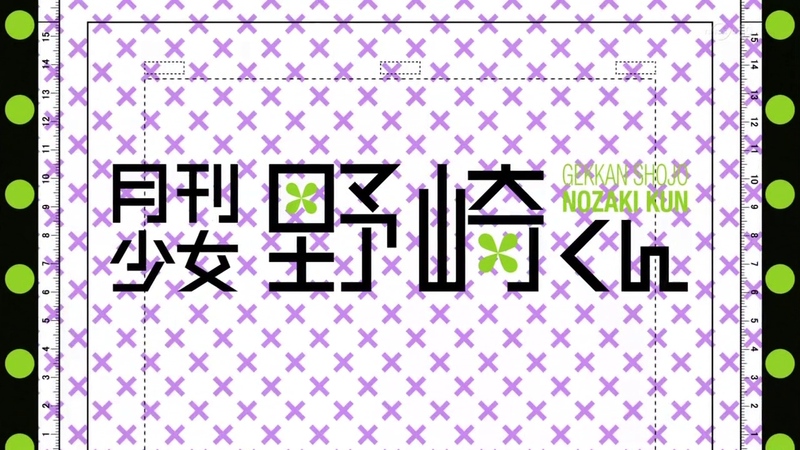 In the end, Hanayamata is a joy. It’s an uncomplicated story about a girl who finds her feet and a purpose in life; or at least something to pass the time away. It gives her solace and contentment which is something we all crave for. 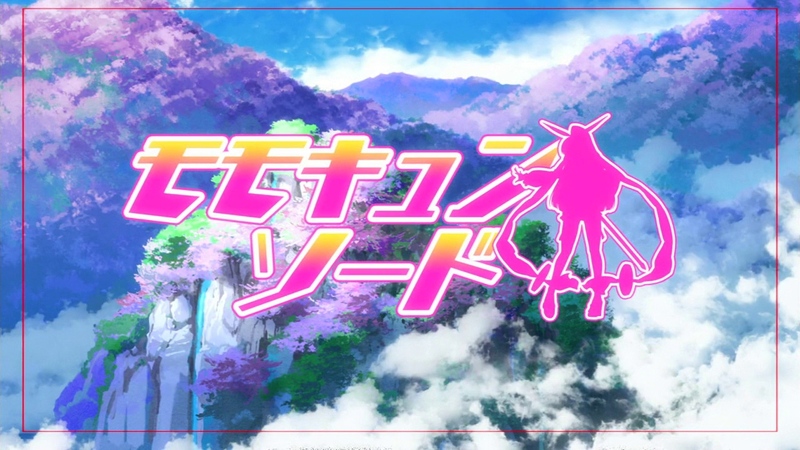 Coupled with a superhuman effort in art production and a solid narrative, this show is something to cherish and a sign that anime isn’t all generic or samey. True there are some times when it follows trend [Americans are brash, transfer students are a dime a dozen and boys don’t speak when girls are the main characters] but these moments don’t detract from the product as a whole – a must-see! 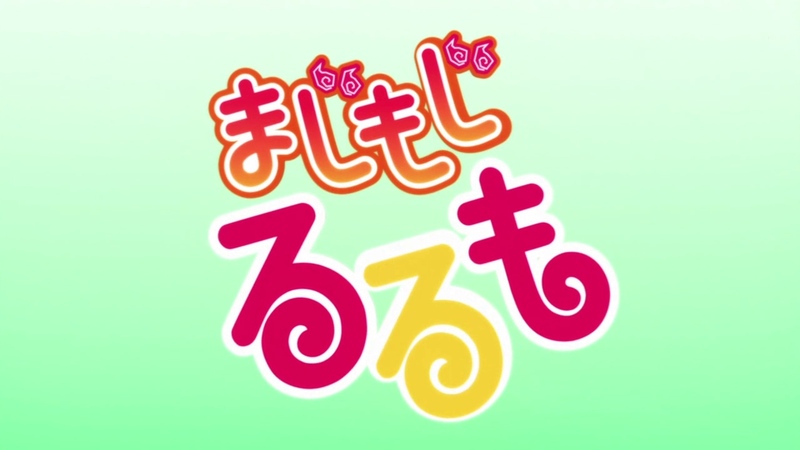 Hanayamata is available to stream on Crunchyroll. The story focuses around an unnamed continent and two superpowers named Arandas and Ingelmia. The two nations have been sparring with each other for many years in the fight to conquer the land; at the time we join the fray, Ingelmia has begun its push into Arandas home territory and it looks like they have the upper hand. As the Arandas forces begin their retreat from their impenetrable Great Wall[! 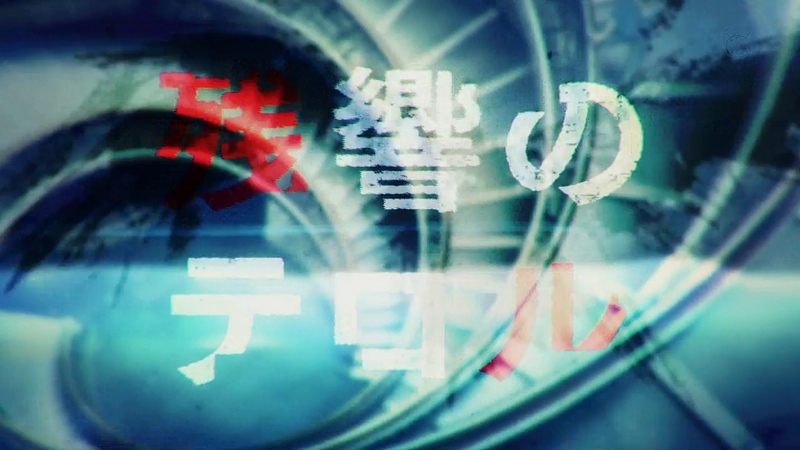 ], one plucky rookie pilot named Tokimune is frustrated with his side’s desire to flee and instead chooses to fight. This all comes to a head when a civilian transport is trapped by Ingelmia forces and the young hothead goes in on his own to help. 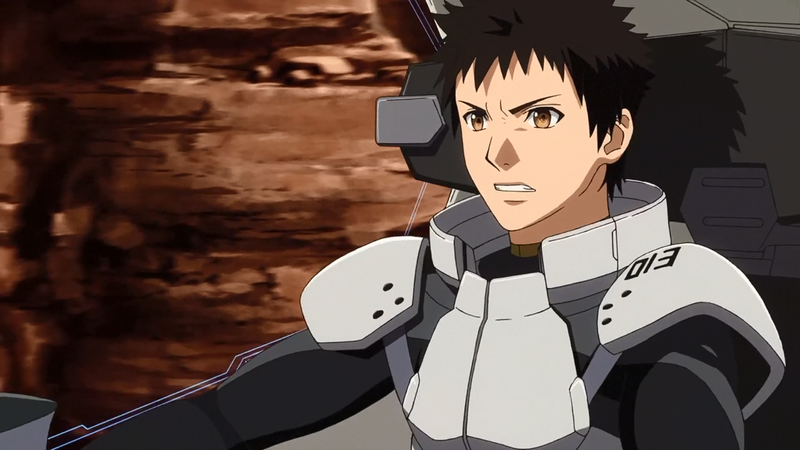 Jamie, the civilian in the transport, begins to open her cargo and within it is the test mech – Argevollen! It looks nothing like the stock mechs we’ve seen up to now [apart from the jumper mechs that Ingelmia used to breach the Great Wall]. Tokimune, being the only pilot nearby, gets in and manages to hold the enemy off. The rest of the story chronicles how Tokimune gets to grips with his mech, the Arandas army defending itself from the Ingelmia onslaught and the burgeoning relationship between Jamie and Tokimune. Hmm, have we been here before? I feel like we’ve been here before. 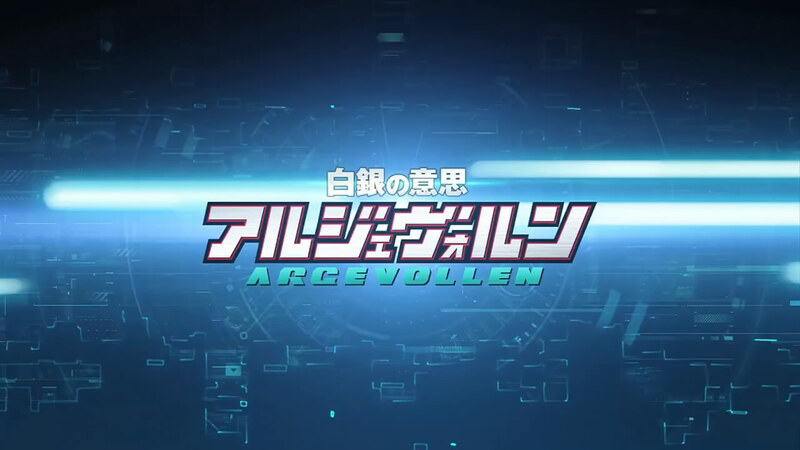 Argevollen doesn’t excite me for some reason and I think I know what it is. The show looks alright for the most part in terms of animation and there are some moments in the narrative where the unexpected does occur; but these moments are few, far between and fleeting. The whole notion of two large nations fighting using giant robots felt to me like it took some snippets from shows like Code Geass and a whole heap from the Gundam universe; Gundam 0080 in particular. 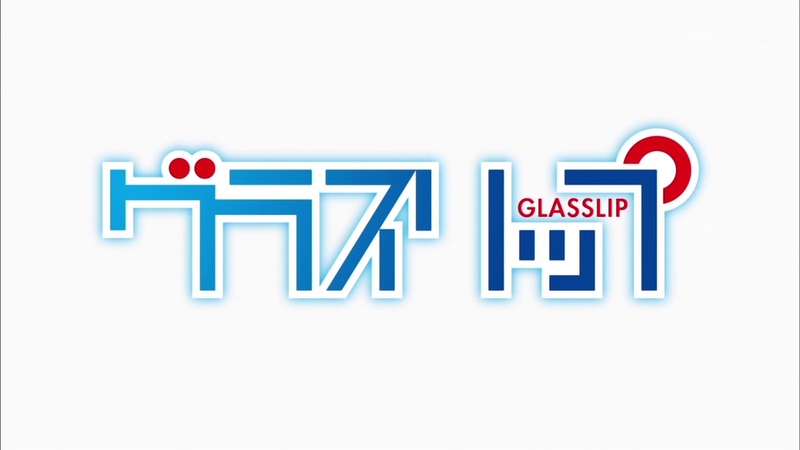 It’s almost that the writers of this show sat down in a room for a few days and wrote down all the best stuff from more military-based giant robot series and carved out their iteration of the concept. There’s no problem with taking inspiration for an idea from past shows, but if you’re going to do that come up with something different to throw into the mix like a rarely seen plot twist or a critical flaw. That being said, I will say that Tokimune isn’t a natural at piloting; he acts like a normal rookie instead of being an unexplained prodigy. He gets sick, acts petulantly and doesn’t take orders well at the beginning. Adding that humanity to the main character is enough to keep me from switching off entirely but I was struggling to stay focused whilst watching this series. It’s not that I have a problem with repetition in anime; it’s just that there are so many familiar tropes in this show and they are played out in a very apathetic manner. The audience has to figure out who the characters are based on past archetypes instead of from the characters in the here and now and that’s lazy! The show looks OK though. There are some awkward compositions with the CGI robots and the cel-drawn backdrops and people, especially with frame rate [the robots glide too smoothly to mesh well with the rest of the scene]. The designs are derived from old Gundam shows plus Xebec’s back catalogue of mecha productions but they are pieced together decently with the exception of Arandas’ general robots which look boxes on legs; not exactly inspiring or battle-worthy. Xebec doesn’t push the boat out when it comes to general animation and character design, it usually does the bare minimum to get by but even here it feels cheap. 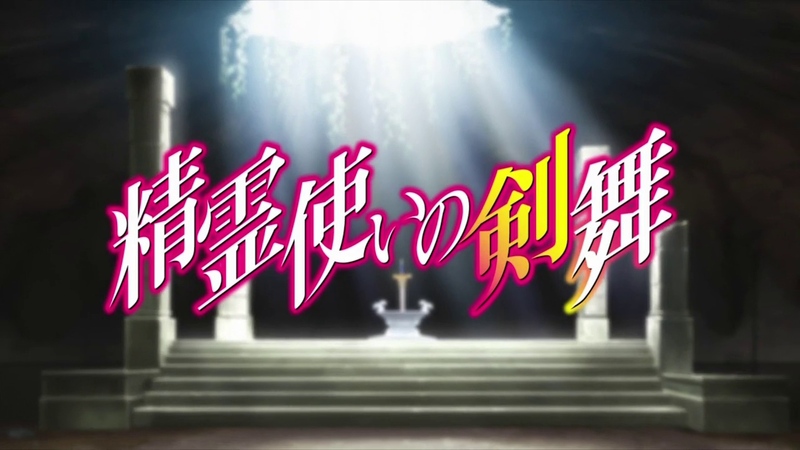 Xebec had three productions this year [Maken-ki Tsu, Tokyo ESP and this] and it’s sort of obvious which show came off worst in terms of budget allocation. There are far too many scenes where characters are standing around and talking to each other for my liking. I understand that there’s a lot of back-room dealing and underhandedness being whispered by characters, but it doesn’t hide the fact that money was tight and it’s cheaper to have motionless conversation most of the time especially when you’re using CGI robots too! Still though, it’s not offensively bad but it is, again, lazy! This level of apathy is concerning. True, there are times when some characters get to shine and do something different for once, but it’s far too rare to be OK with. 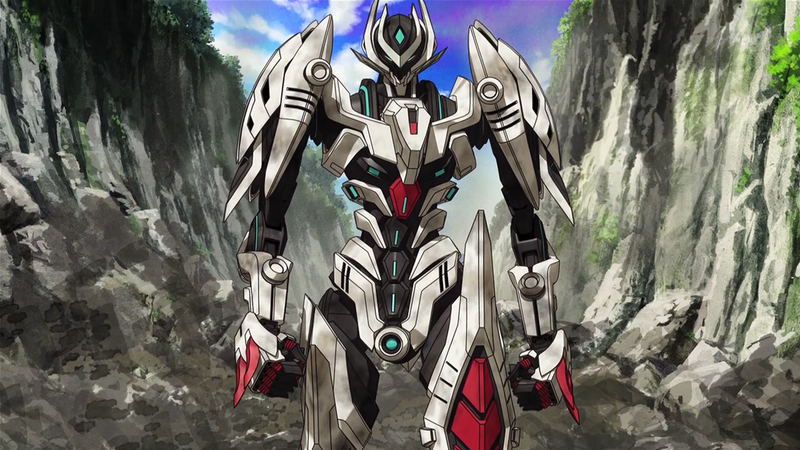 The only thing I feel they weren’t slacking over was the design of Argevollen. It’s a very cool looking mech and feels like it shouldn’t be in this universe; it’s far too sleek for this time period. It’s also a little too perfect; it seems to be a prototype but there are no instant flaws or abrupt slowdowns in performance, it works right out of the box. Hmmmm. At least the show got its pin-up right mostly. 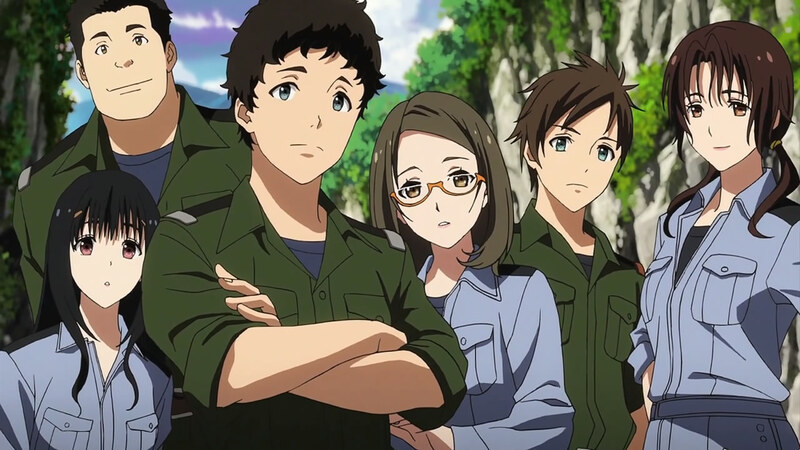 To me, Argevollen feels like it could’ve been a good show if it were given more attention by the production team. It doesn’t feel complete or unique; it’s like Xebec and Tatsuo Sato [the show’s director] were going by the numbers and pitching the notion – “What would 1970s robot shows look like today?” and made an effective carbon copy. 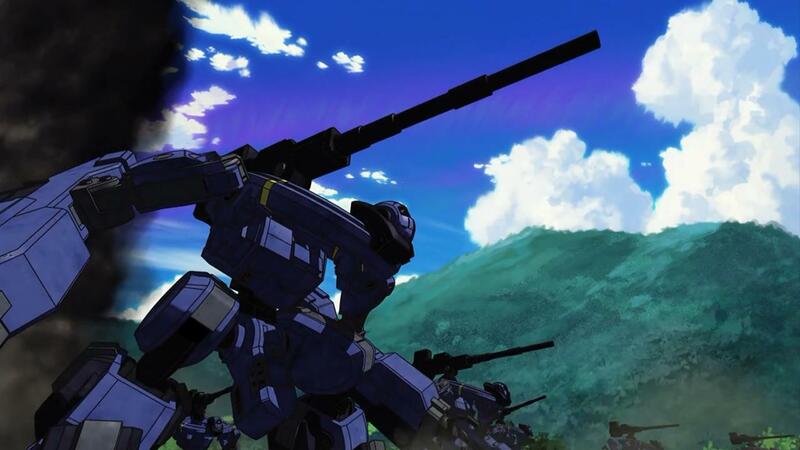 It’s a remake essentially of the tried and tested model of more realistic mecha series. I’m disappointed in Sato, especially since he directed my favourite anime! This is the guy who headed Bodacious Space Pirates and Nadesico! 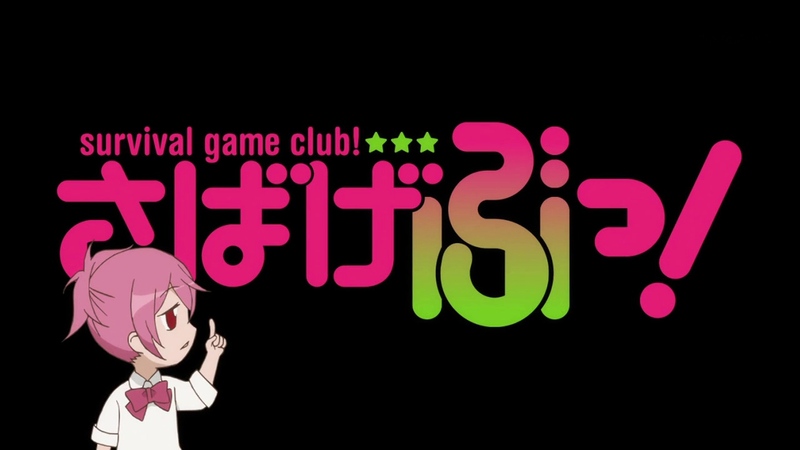 I don’t feel much for this series, I’m pretty bored just by looking at it really. Let’s move along, shall we? Silver WIll Argevollen is available to stream on Crunchyroll.